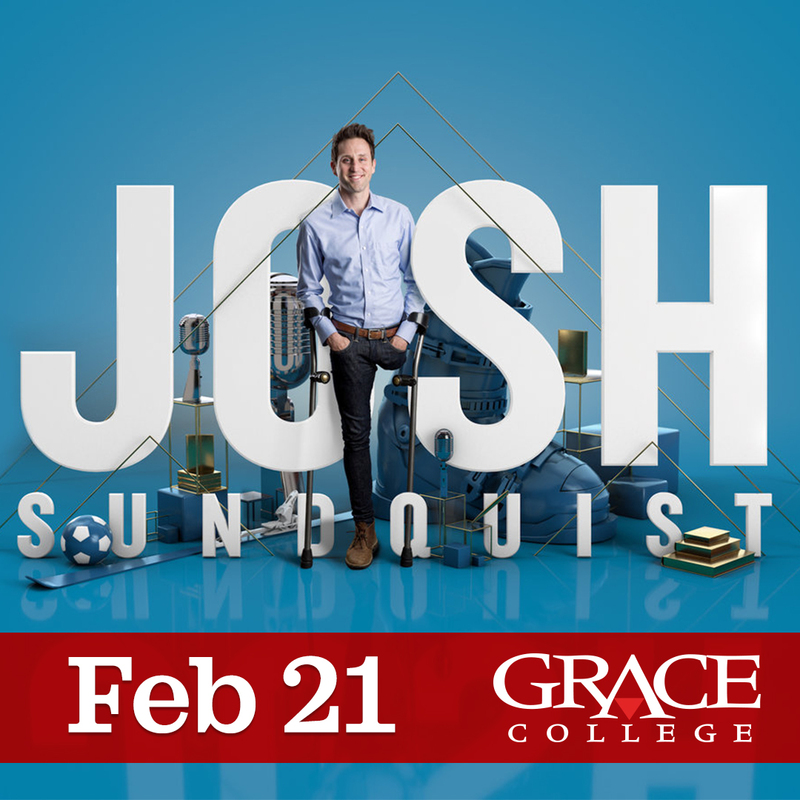 Josh Sundquist will keynote Career Week Chapel at Grace College on Thursday, Feb. 21 at 10:30 a.m. in the Manahan Orthopaedic Capital Center, 610 Wooster Rd., Winona Lake, Ind. 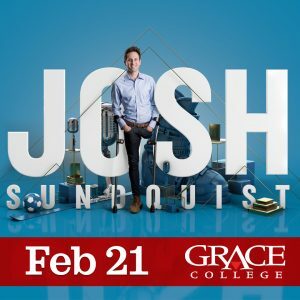 Sundquist is an international motivational speaker, blending humor with life experiences to inspire audiences everywhere. He has authored two memoirs: National Bestseller Just Don’t Fall, and We Should Hang Out Sometime, currently being developed into a movie. His first novel, Love and First Sight, was published in 2017.